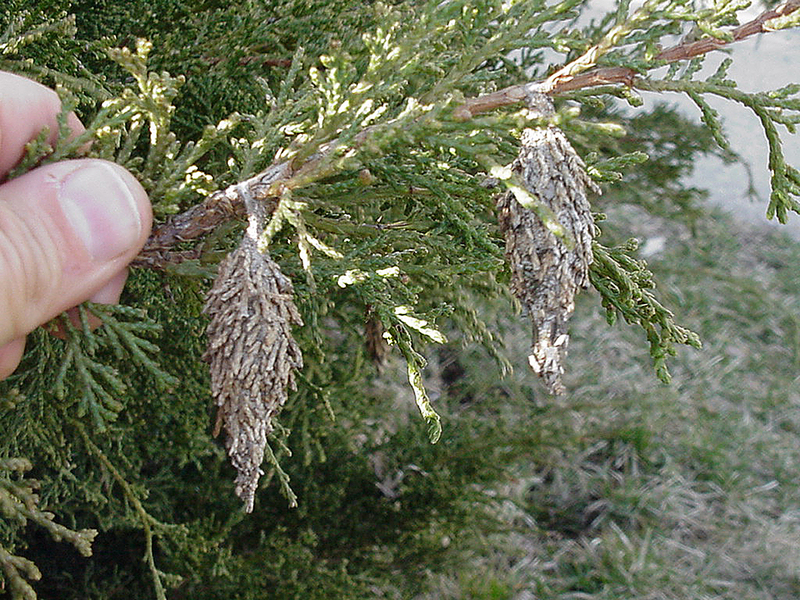 Bagworms disfigure evergreen trees and shrubs by feeding on leaves and needles and girdling twigs. 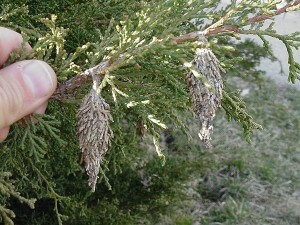 As worm-like larvae they spin silken bags around themselves, to which they attach pieces of the leaves they are eating. They carry this bag with them as they feed. A fully developed bag is about two inches long. These tough, spindle-shaped bags hang from the branches of infested trees like holiday ornaments, so they are easy to spot. 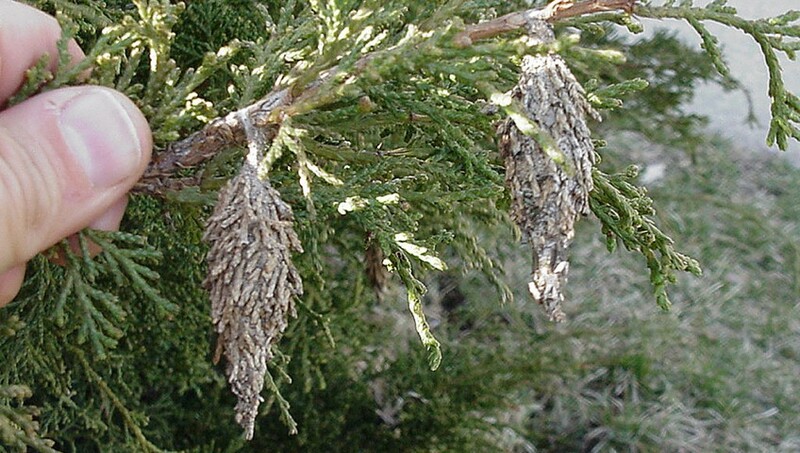 Bagworms are the larvae of moths. Full-grown, these worms measure 1 to 1 1/4 inches. Their bodies are brown with that portion inside the bag lighter than the rest. Adult male moths have black wings, but the females are wingless. The females lay their eggs in fall, and the eggs hatch the following May or June. 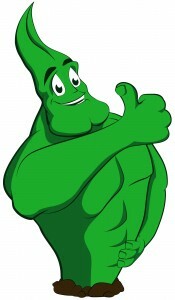 As the young worms begin to feed, they start doing their damage to tree and shrub foliage. They will continue eating for several months, maybe as late as August in the North. Proper insecticide use will effectively control their damage.